The classic yachting decor and teak panelling of The Quarterdeck restaurant provides a more informal atmosphere for dining and simply relaxing. It is a great place to linger and enjoy good food, good company and of course stunning sea views. 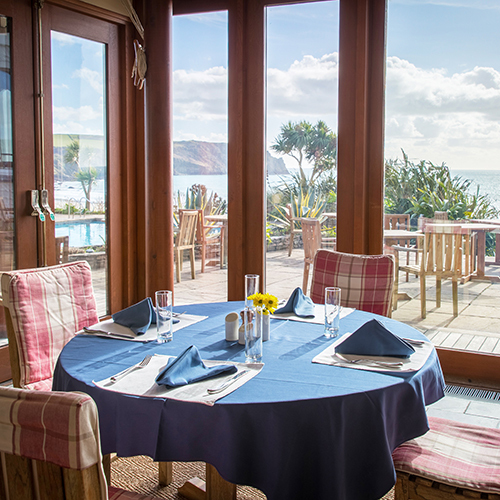 The views across the bay are even more spectacular from the outside terrace, which affords a delightfully sheltered sun trap, especially for breakfast in the summer. 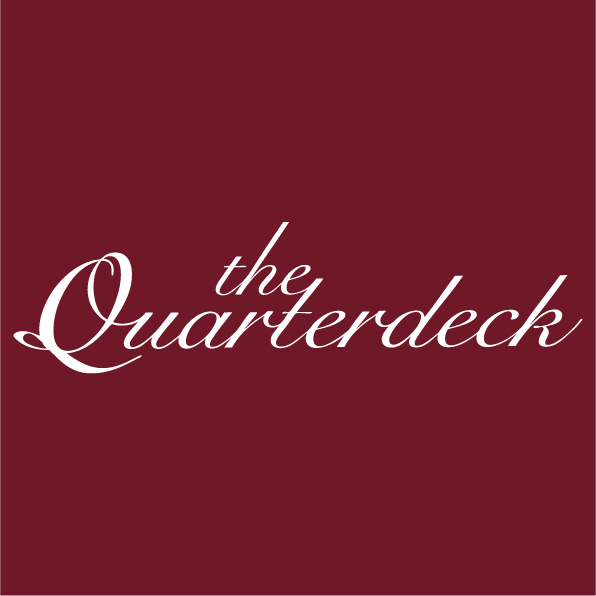 The Quarterdeck is an ideal place to meet up with friends and family at any time of the day. An excellent Christmas Eve. Thank you. We have been customers of the Nare since the 1970s and never cease to be impressed with the quality of food and service which is first class. We love coming to The Quarterdeck. We found it ‘by accudent’ about 12 years ago and come several times a year as a treat. We’ve never been disappointed and really liove how The Quarterdeck manages to combine relaxed with high quality. I experienced a very relaxing two hours at lunch with my grand daughter and close friend. The food was attractively presented and delicious. The staff were very efficient and friendly and the ambiance in Quarterdeck dining room added to a very pleasurable time, lovely and warm whilst the watching the stormy seas. Food excellent although sadly about half of the moules had not opened. My most favourite restaurant on the Roseland. Lovely views. I love the Print Room and the J Class Sailing  restaurant. Staff are professional and look after the guests so nicely...without me asking I was immediately offered a stool for my leg when I arrived for lunch on crutches. Amazing food and lovely service. Thank you! 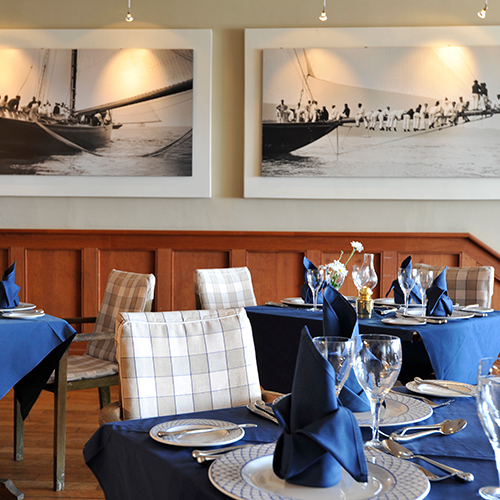 We look forward to our occasional lunches in the Quarterdeck. The food, the service and the views are all excellent. Always a treat. Thank you to all the staff at The Nare Hotel for a wonderful lunch. All staff were very attentive and professional, making our family celebration very special. We had a splendid visit and lunch and will come again. 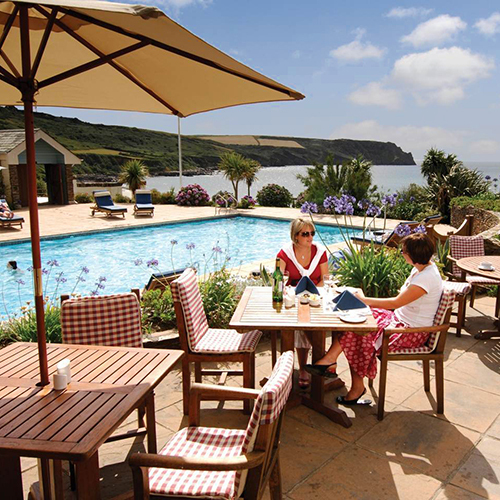 I am a resident in the Roseland and I love the Quarterdeck Restaurant, it is my favourite. Excellent welcome and very good service. Enjoys a great location. Loved our dinning experience! Staff were professional and attentive! Would recommend to anyone who wants a special occasion!! Despite ringing in advance to ask about vegetarian options and to check specifics on for example if the chips were cooked separate to meat products (we were assured they were), when we arrived and asked for the vegetarian menu mentioned when booking, everyone looked most confused, when the waiter ran through the veggie options on the menu, the penny dropped that there weren't really any and he then confirmed the chips were not cooked separate to meat products. This was most disappointing and it didnt really get any better. We eventually got given the evening vegetarian menu but it was still disappointingly limited. The toilets were dirty when we arrived which was not good either. We have visited many times in the past and I fear this was probably the last. We stopped at a local cafe on the way home for tea and cake to try and salvage what was a disappointing visit. Fabulous visit as usual. 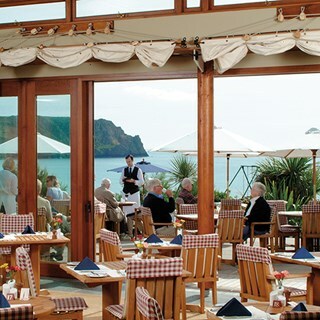 Our favoutite place and a must when visiting the Roseland Peninsula. Thank you Anton for assisting with my lobster and also your wonderful crepes suzette! This was an excellent meal in many respects, but I do think it was a little overpriced as against your competitors.